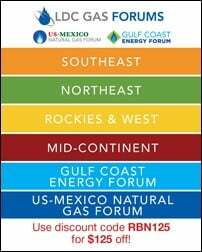 This summer and fall, more than a half dozen companies and midstream joint ventures have announced plans for new deepwater export terminals along the Gulf Coast that — if all built — would have the capacity to load and send out more than 10 MMb/d, which is notable because the U.S. Lower 48 currently produces 11.2 MMb/d. 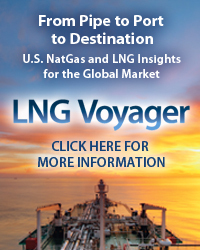 Most of these projects won’t get built, of course — export volumes may well continue rising, and the economics of fully loading VLCCs at deepwater ports are compelling, but even the most optimistic forecasts suggest that only one or two of these new terminals will be needed through the early 2020s. So, there’s a fierce competition on among developers to advance their VLCC-ready export projects to Final Investment Decisions (FIDs) first. 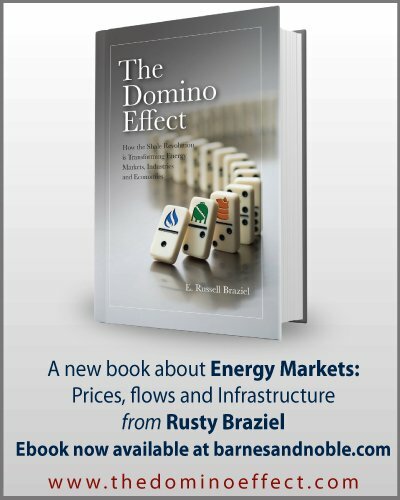 Today, we discuss highlights from our new Drill Down Report on deepwater crude export terminals as well as the export growth and tanker-loading economics that are driving the project-development frenzy. So far in 2018, the U.S. has exported more than 524 million barrels of crude oil and export volumes — lately hovering around the 1.8 MMb/d mark — are likely to continue increasing next year and in 2020. The export boom is made possible by the lifting of the ban on most U.S. crude exports in December 2015 and is driven by rising production in the Permian, Eagle Ford, SCOOP/STACK and other major plays. 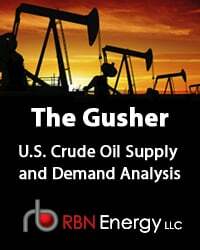 U.S. crude production has reached 11.7 MMb/d — all but 500 Mb/d of it in the Lower 48 — and RBN’s latest Gusher report forecasts that output will rise another 500 Mb/d by April 2019. 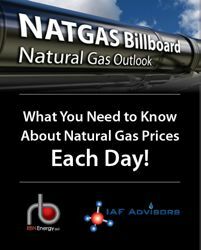 These production gains are occurring despite pipeline takeaway constraints out of the Permian, and may well accelerate in late 2019 and early 2020 as new pipeline capacity comes online, eliminating bottlenecks between West Texas and the Gulf Coast. 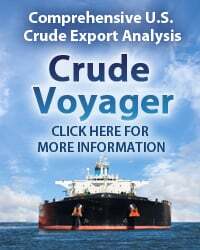 According to our latest Crude Voyager, exports out of the Gulf Coast averaged 1.83 MMb/d in the four-week period ended November 23 (2018), with Houston-area terminals sending out 648 Mb/d (on average), followed by Corpus Christi-area docks with 569 Mb/d, Beaumont-area facilities with 485 Mb/d, and Louisiana ports with 130 Mb/d. Generally speaking, the bigger the tanker you’re using to haul crude long distances, the more cost-efficient the journey. With Asia accounting for nearly half of total U.S. export volumes in the first 10-plus months of 2018, the VLCC, with a storage capacity of about 2 MMbbl, has become the (super)tanker of choice. The catch is, there’s only one Gulf Coast terminal currently capable of fully loading a VLCC without reverse lightering. That would be the Louisiana Offshore Oil Port (LOOP), which is located in 110-foot-deep waters 18 miles off Port Fourchon, LA — and which was originally designed (back in the late 1970s and early ‘80s) as an import-only facility. Elsewhere along the coast, outgoing VLCCs need to be either fully loaded or topped off in offshore deep water by reverse lightering — a time-consuming and costly process that typically involves shuttling crude out in Aframaxes or other smaller tankers to a VLCC in a trans-shipment area (TSA) and transferring the crude onto the larger ship. 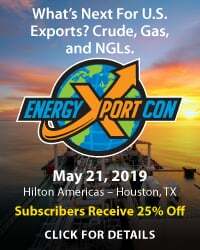 To access the remainder of Deep Water - A New Drill Down Report on Proposed Crude Export Terminals you must be logged as a RBN Backstage Pass™ subscriber.